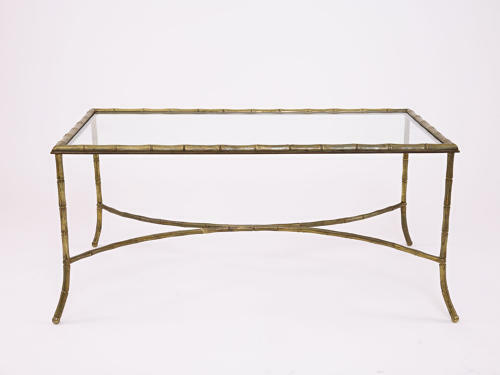 Faux bamboo bronze coffee table with inset clear glass top. Splayed legs and stretcher supports. Probably by one of the leading design houses of the period (Bagues or Jansen).